Unless we are prepared to make some politically unpalatable decisions and begin to plan for a new and rapidly changing reality that is already unfolding around us, Ireland is on the threshold of making critical planning errors that will significantly prolong the unfolding recession. Failing to plan is planning to fail. In 2008, we face similar choices to Japan after the end of its property boom in the early 1990s. They failed to acknowledge change and take the hard but necessary decision to re-evaluate their economic and political model, and as a result Japan has seen its economy stagnate over the last 15 years with no end in sight. Ireland now needs to address startling new challenges and old problems caused by outdated models of enterprise and client-based systems of governance. To meet these challenges many familiar practices need to be questioned, none more so than our repeated failure to plan adequately and appropriately for the future. Planning aims to support and enhance environmental, social and economic betterment. It cannot create jobs but it can create and sustain attractive conditions for creating jobs. But "planning" in Ireland, in the words of Michael Smith, the minister for environment in 1993, has become a "debased currency". Used almost exclusively to describe consent to build, it is almost never used for its original purpose - to make provision for the future. The Irish planning system's lack of foresight is now recognised as one of the fundamental causes of the recent property bubble. This has distorted our economy and ultimately undermined our competitiveness. 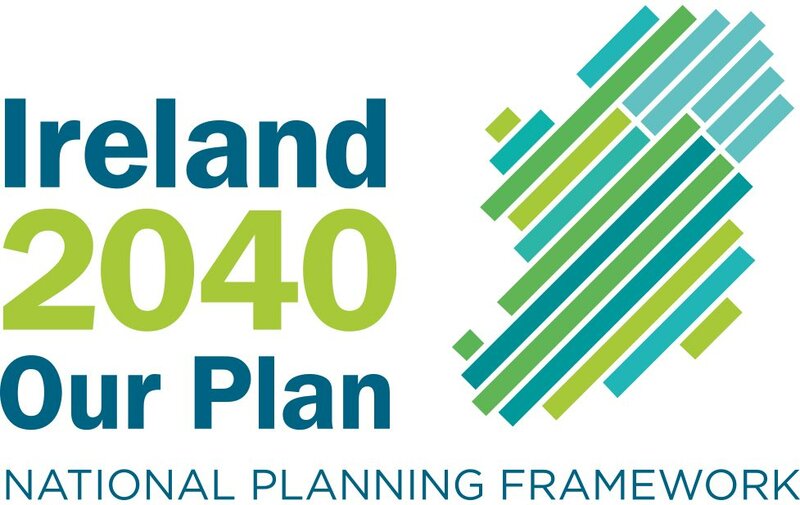 Planning for a successful Ireland of, say, 2030, means identifying, examining and working with, not against, the forces that will shape our future. To plan a future Ireland on a business-as-usual, or, worse still, on a political basis, as we have already done with the plan for the decentralisation of government, would be another exercise in folly. Recent commentaries on Ireland's future have concentrated on the familiar topics of immigration and the high-tech industry, but they have overlooked a series of deeper spatial and social changes that are already completely changing Ireland. These changes are both tangible and intangible and the hardest decision will be to acknowledge their existence and accept the magnitude of these changes. The biggest intangible change will be to our value systems. Urban attitudes are different, solutions are demanded immediately, and problems left unsolved are obvious and cumulative. Most Irish people now live urbanised lifestyles, living in or near towns. However, very few settlements have reached the critical size of 100,000 that allows all of the benefits of city life to begin to occur. The small size and the markedly eastern distribution of Irish settlements is a reality that few policies recognise or accommodate, and the rate of urbanisation in Ireland means that our traditional rurally based value system will change more rapidly than any other European country. Changing values, combined with increased urbanisation and a larger population mostly concentrated in the area around Dublin and four other cities, also have profound political implications. For the last 25 years or so, the two largest and traditionally rural-based parties have been losing their share of overall voting percentages at each election. In less than 10 years urban agendas will dominate politics in Ireland. These large political parties will need to rethink their approach to local and national governance in order to survive in this changing society. The first major tangible change will be our population and where we'll be living. By 2030, it is estimated that the population of the Republic will be around 6.45 million. Of these, 2.76 million, or 43 per cent, will be living in the greater Dublin area (GDA) - which occupies less than 10 per cent of the area of the State. If we include the seven counties adjacent to the GDA, then almost two-thirds of the population will be living on about a quarter of the land. Although the population will continue to grow, there is unlikely to be much change in the pattern of low-density accommodation provision. This means that urbanised areas will spread both up and down the eastern region, creating a corridor of continuous development, ultimately stretching from Belfast through Dublin to Waterford and on to Cork. About two-thirds of the population will be living within 35kms of the entire east coast, and no plan for "balanced regional development" is going to prevent that. By 2015, the Common Agricultural Policy will have been reformed and Irish agriculture as we currently know it will have been altered forever. For climatic and geological as well as economic reasons, it is likely Ireland will have two main agricultural sectors, with intensive agribusiness concentrated mainly in the south and east. In the north and west, it is likely that environmental designations will become common, and will be the main determinants of future development. There will also be far fewer farmers in a future Ireland, which means larger landholdings, and, through necessity, the emergence of creative agriculture, food and farming practices. The economy, too, will alter significantly. Our over-reliance on foreign direct investment (FDI) is a dated approach to economic planning. We have also failed to provide the infrastructure many large corporations need in time, and what is there is arguably too dear, too small and in the wrong location. FDI has also FSC - Found Somewhere Cheaper. The future scale and distribution of Ireland is not crystal ball-gazing: several publications have dealt with likely future scenarios for Ireland, most recently the Urban Forum's Twice the Size report. The indicators and patterns of development have been evident for some time, and yet, incredibly, no credible plan exists to deal with this clearly emerging future. Instead we have the National Spatial Strategy (NSS), a plan devised to achieve balanced regional development, thereby diverting resources from Dublin. The net result of this is a lack of investment for economic growth in the one region that sustains the rest of the country. This in turn makes the transfer of funds from the advantaged areas to the disadvantaged more difficult. The continued implementation of the NSS has serious implications for our future success. It proposes spreading the jam too thinly across the country, so everybody gets a taste but nobody's hunger is satisfied. Crucially, the NSS is planning for an Ireland that is probably not going to happen. There is a need for plan for the future that is more likely to happen - the continued urbanisation of the eastern region - instead of trying to prevent it. This has obvious political implications. Deliberately fostering, providing and sustaining the conditions for a human being to live an entire fulfilled lifetime is the business of planning, and it is a huge challenge. Where rural communities can survive in a laissez faire regime, the urban citizen is entirely dependent on the city to supply and sustain these conditions of life, potential and prosperity. We need to acknowledge our duty of care to urban dwellers, those whose prosperity will have direct positive economic and social impacts on the rest of the country.Many existing institutions, policymakers and professionals will find these changes and challenges difficult to accept. No one is saying planning for the future will be easy, but planning against the future is far more difficult. SHELL E&P Ireland has denied it failed to consult coastal community interests on planned drilling in a Mayo estuary that is a special area of conservation (SAC). The company was responding to criticism at the weekend by the Erris Inshore Fishermen's Association, which says it was not consulted about the new work programme in the Sruwaddaccon estuary, including use of Ballyglass pier for the project. Shell and its Corrib gas partners, Statoil and Marathon, have a foreshore licence from Minister for Agriculture and Fisheries Mary Coughlan to drill boreholes in Sruwaddaccon Bay, which is an SAC. The estuary is on a shortlist for a modified pipeline route linking the Corrib gas field offshore with the onshore refinery at Bellanaboy. Survey work by consultants RPS for a modified route was carried out in the estuary last year, but this phase involves "invasive" geotechnical work that was approved under ministerial licence, according to the company. Eddie Diver, chairman of the Erris Inshore Fishermen's Association, says his organisation was not formally contacted by the Corrib gas developers. A Shell E&P Ireland spokesman said he could not confirm whether fishermen's organisations had been contacted by the developers, but the company had invited public response. DUBLIN CITY Council has signed a contract with developer Treasury Holdings to provide heating for apartments in Spencer Dock from the Poolbeg incinerator, which has yet to be granted a licence from the Environmental Protection Agency (EPA). The council has secured planning permission for the incinerator from An Bord Pleanála, but it needs a waste licence from the EPA to operate the plant. The EPA will hold an oral hearing on the council's licence application. This hearing begins in two weeks and will hear from groups who are opposed to the incinerator, as well as the council. The proposed incinerator is being challenged in the courts by local opposition group Combined Residents Against Incineration. The action is being taken against the Minister for the Environment, the Attorney General, Dublin City Council and An Bord Pleanála and relates to certain EU environmental directives. However, the council has decided to press ahead with agreements, and infrastructure, to provide heating generated by the plant to offices and apartments in the docklands area. The council is to provide "district heating" for the equivalent of 20,000 people in Treasury's Spencer Dock development and has already begun laying the pipes from the proposed site of the incinerator to the complex. The district heating system allows the heat to be pumped directly to apartments and offices without the need for a boiler in each building. The council estimates that once the system is up and running, the apartment owners will receive bills that are about 20 per cent lower than those of the ESB or Bord Gáis. Although the plant does not have a licence, and will not be built until 2011/2012, assistant city manager Matt Twomey said it was prudent to plan ahead for district heating. The financial benefit to the council from this deal cannot be revealed because of commercial sensitivity, Mr Twomey said. A feasibility study on the capacity for district heating once the plant is fully operational is to be published in the coming months and is to include details of the profits to be made by the council. The council is also in the process of choosing a service provider which will issue heating bills on its behalf. While residents in new apartments will benefit from lower utility bills, existing residents living in older houses near the plant site will not, at least in the short to medium term, Mr Towmey said. Several local residents expressed disappointment that they would not benefit from district heating at a meeting held by the council in Ringsend last Saturday. The meeting was organised to give residents further details of the plant's community gain fund consisting of an €8 million lump sum and €500,000 annually. MORE than 430 people who have seen their homes plummet in value as a result of a allegedly defective building materials plan to sue for damages in an unprecedented legal showdown with the construction industry. Hundreds of people who bought homes in three new housing developments in north Dublin resorted to legal action after cracks and other problems allegedly began to appear in their properties. The developers have blamed the problems on defective building materials supplied by a north Dublin quarry and are repairing the defects. That has not stopped residents from signing up with two of the city's biggest law firms, in what promises to be a protracted legal battle that will put building standards centre stage. Arthur Cox is representing around 230 clients in Drynam Hall in Kinsealy and The Coast in Baldoyle, Co Dublin. Both developments were built three years ago by Menolly Homes, one Dublin's biggest home builders. Solicitors Lavelle Coleman has been instructed by more than 200 clients, most in Beaupark, in Clongriffin, built by Menolly and Kiloe Developments. It will also act for a small number of residents of houses in Castlecurragh, an estate in west Dublin, which were built with the same allegedly defective material. The scale of litigation has spiralled since problems were first encountered by residents more than a year ago. Menolly Homes blamed the flaws on excessive levels of pyrite in the building materials used in the foundations and floors. The mineral reacts with oxygen and water to cause walls and ceilings to crack. Menolly has promised to replace the allegedly faulty infill in all of the affected homes, a hugely expensive process that the company estimates will cost more than €20 million. The company is already coming to terms with the downturn in the property market. It was ordered by the High Court earlier this year to pay €1,700 a month rent on property in Drynam Hall on a house that the owners couldn't sell. The company launched another 50 units in The Coast development yesterday, slashing the prices by up to 20 per cent. None of the new properties have been affected by the high pyrite concentrations. The company is seeking to recoup those costs in what promises to be another protracted legal battle with the suppliers of the allegedly defective material, Irish Asphalt Ltd, which owns the quarry in Bay Lane, North Dublin. The High Court case is unlikely to be straightforward, however. Irish Asphalt, which is owned by the Lagan Group, claims its own tests have so far found no evidence of "pyretic swelling" in the affected homes and blames the alleged defects in the three estates on "defects in the ground conditions, leading to subsidence, and/or defects in the design and construction of the properties. Cracks in floors were caused by settlement and not by pyrite." As the construction companies prepare for battle over who was to blame, householders are still counting the cost. Alan Dunne is still waiting to have his house tested for pyrite almost two years after cracks first started appearing on his newly built walls. He bought the three-bed roomed semi-detached house in Beaupark off the plans for €299,000 in 2005 from Kiloe Developments. Soon after he moved in, cracks appeared on the walls, the stairs began to separate from the walls, the downstairs floors swelled and the doors no longer close properly. Frustrated that his house has now plummeted in value, he has retained solicitors, Lavelle Coleman, to act on his behalf. "I have a hefty mortgage payment to make each month on what is basically an asset that is no use to me . at the moment." SHELL E&P Ireland says it has received State approval to drill boreholes in Sruwaddaccon Bay, a special area of conservation (SAC) in north Mayo, as part of work on the Corrib gas project. The company has also confirmed it is "reviewing" grant aid it has earmarked for a north Mayo community affected by the 2003 Dooncarton landslide, due to local dissent over the application. The "geotechnical ground investigations" in Sruwaddaccon Bay are due to begin "shortly", as part of the continuing research work on a modified onshore pipeline route for the Corrib gas project, according to the company. A jack-up platform is due to be delivered next week to Ballyglass pier in north Mayo, where it will be assembled using a mobile crane. A Shell E&P Ireland spokeswoman said it had been awarded a foreshore licence for the work by Minister for Agriculture and Fisheries Mary Coughlan. The spokeswoman said this licence covered the fact the area is an SAC and comes under the EU habitats directive. An environmental management plan would be put in place. Last year, the Minister for Environment, John Gormley, issued a public reprimand to the Corrib gas partners over unauthorised work on an SAC on land at Glengad. Mr Gormley ordered that restoration work be undertaken by consultants for Shell, RPS, who have been engaged to come up with a modified onshore pipeline route. Mary Corduff of the Shell to Sea campaign questioned the validity of the work, as the bay is an SAC and has not yet been the subject of an independent baseline study. "Work was carried out in the bay by RPS for Shell last year, so what is the reason for this further survey which will undoubtedly have an impact on the environment?" asked Ms Corduff. The Corrib gas partners are to review their allocation of a €10,000 grant to the Dooncarton Landslide Committee in Pollathomas, Co Mayo. No money has as yet been paid, a Shell spokeswoman said. Committee member Gerry Sheeran told The Irish Times his group was unaware such money had been applied for to erect safety barriers along a stretch of road overlooking Broadhaven Bay. The application had been made by one committee member without authorisation, and the committee had decided last week to dissolve on this account, Mr Sheeran said. Any financial aid for safety barriers should be a matter for Mayo County Council, he said. Mr Sheeran and his family were among those affected by the landslide in September 2003. Last year, Shell's support for the Feile Iorrais arts festival was also the subject of a row. A NEW €8 million medical and educational facility has been officially opened at the oldest prison in the Republic. The state-of-the-art facility is at Limerick Prison, which houses 275 male and 20 female prisoners. This is the latest phase in the redevelopment of the 19th-century building where two new prisoner blocks have been developed in the past 10 years. According to Minister for Justice Brian Lenihan, who performed yesterday's opening, plans are also under way to replace the remaining two Victorian cell blocks at the Limerick jail. All of the female prisoners and 175 of the male prisoners at Limerick have in-cell sanitation, leaving 100 prisoners still engaging in the practice of "slopping out". Mr Lenihan said the new development was just one aspect of a major capital programme "into which the Government is currently investing significant resources". This building programme, he added, included the relocation of the four prisons on the Mountjoy campus to a 140-acre site at Thornton Hall, north Co Dublin, the replacement of Cork Prison and the redevelopment of Portlaoise Prison. "Between them, these comprise nearly 40 per cent of the entire prison estate and the completion of these projects will thankfully see the end of the practice of slopping out." The new €8 million facility at Limerick will cater for prisoners' educational, work training and medical needs. A fully equipped gymnasium and sports hall have also been provided with equipment for prisoners' recreation. Mental healthcare along with primary care will be provided in the medical area of the new facility where drug-treatment services will also be provided to prisoners. Prison governor Tadhg O'Riordan acknowledged the input of the late governor of the jail Pat Laffan, who died suddenly two years ago. DUBLIN CITY Council is to spend almost €8 million this year on improvements to public buildings, parks and footpaths to make them more accessible to people with disabilities and mobility difficulties. The improvements are part of a seven-year implementation plan to upgrade all the city's buildings and public spaces to meet the accessibility standards set down by the EU and by the 2005 Disability Act. The council is also seeking to encourage businesses in the city to make their premises accessible and last night launched a new website, www.accessdublin.ie, which will carry lists of businesses, such as hotels, restaurants, pubs and shops that are accessible. The information will be linked to websites in other countries to allow tourists to find accessible services. The website will allow the public and interested groups to inform the council about areas that need improvement. It will also allow people to comment on the measures to increase accessibility. The information will be used by the council to audit its progress. The council aims to achieve "universal accessibility" in the city. The upgrades will not just focus on the needs of wheelchair users, but on those with other mobility difficulties and visual or hearing impairments. The council will spend €3.4 million on improving public footpaths this year. Its improvements to public buildings will be carried out on an area by area basis and will concentrate on the inner city in 2008 with improvements to the Civic Offices, and nine public libraries at a cost of €3.2 million. More than €1 million will be spent on improvements to public parks in the inner city this year. Improvements to road crossings, disabled parking bays, public transport and public lighting will be made on an ongoing basis. Dublin Airport to expand once again as short haul flights take off. . . The Dublin Airport Authority is planning a /25m extension to its Pier D facility to help meet the huge demand for quick turnaround short-haul flights from Ryanair and Aer Lingus. The new two-storey extension will increase the size of the existing Pier D facility by about 30% adding seven new boarding gates serving eight aircraft parking stands. Subject to planning permission being granted, construction of the 4,500 square metre extension should begin in December and the facility will be completed by January 2010. Pier D itself opened on budget on 28 October 2007. The facility cost /120m including the cost of the new elevated Skybridge (pictured) that links the pier to the existing passenger terminal. AN BORD PLEANÁLA has refused permission for the redevelopment of a well-know Rathgar pub. Bartlett Inns Limited was looking to partially demolish the 108 pub on Rathgar Road to make way for a four-storey mixed-use development comprising five apartments and a public house. The scheme had been approved by Dublin City Council but was appealed to the planning board by Rathgar Residents' Association. The board's planning inspector stated in his report that the proposed development would be appear "unduly tall, out-of-scale and out-of-character with the streetscape". It would also strike a discordant note in relation to the nearby Christ Church. He also expressed concerns that the proposed study rooms for the one-bedroom flats could be used as bedrooms. An unsafe playground was cited as one of the reason for refusing planning permission for a residential development in Killiney. Planners at Dun Laoghaire Rathdown County Council have turned down plans to build 29 houses at the home of fashion retailer Seán Barron on Ballinclea Road. O'Flynn Construction was looking to demolish the house on the 2.8-acre site to make way for three detached houses, 22 semi-detached houses and four terraced houses. The Cork-based developer purchased the six-bedroom house - called Broadlands - from Barron, the man behind the Pamela Scott brand, in 2006 for €22 million. The house had its own tennis court and lots of mature trees. The site has a prime location opposite the entrance to Killiney Golf Club. It backs on to Cluny Park and has extensive frontage on to Ballinclea Road. Six of the proposed 29 houses were ear-marked for social and affordable housing. A pedestrian link from the scheme to Cluny Park formed part of the plans. There were eight objections to the scheme. Issues raised included concerns about traffic hazard, overshadowing, overdevelopment and loss of trees and hedgerows. O'Flynn Construction's proposals were refused by the council on a number of grounds. The planning inspector found that the proposed development would "seriously injure" the amenities of property in the vicinity. The council was also critical of the depths of rear gardens at the proposed houses and the provision of open space in the scheme. The parks department of the council deemed that the location of the play area in the scheme beside the entrance onto Ballinclea Road was "not safe" and did not appear to have any protective fencing. It would be necessary to rearrange the entire layout of the site to remedy these problems, the parks department said. FOXROCK RESIDENTS have called on Dún Laoghaire Rathdown County Council to refuse permission for the redevelopment of a prime site in Foxrock village. Foxrock Area Development Ltd is among seven objectors to Michael McNamara's plans to redevelop his home - Clonbur - at the junction of Torquay Road and Westminster Road. McNamara wants to knock the house to make way for 11 apartments, an office, shop and 33 car-parking spaces. Foxrock Area Development Ltd says the redevelopment of the site, surrounded by a screen of evergreen trees, "may be desirable if it were to make a positive contribution to the consolidation of the village". Any development of this "important site" needs to be addressed in the context of a village improvement plan, which is being prepared by the council, according to the group. The development of both Clonbur and the nearby Gortanore site, which is being turned into apartments by David Arnold, are of "fundamental importance" to the proper planning and sustainable development of the village, says the group. "A detailed design guide for these sites should form an intrinsic part of the village improvement scheme and all proposals for the redevelopment of these sites should be judged within the context," says Feargall Kenny of Kenny Planning Consultants on behalf of Foxrock Area Development Ltd. Granting permission for any additional development will put extra pressure on parking in the village, according to the group. Failing to explore the potential of important sites such as Clonbur, Bortanore and the horse racing lands at Leopardstown racecourse is "premature and short-sighted", it says. McNamara's scheme would put extra pressure on the already "inadequate road infrastructure" of Foxrock village, it adds. YOU'VE HEARD OF a brain drain? Well now they're talking about a "crane drain" from the north-western edge of Dublin where building operations have slowed down quite a bit in the opening weeks of this year. The latest Jones Lang LaSalle "Crane Watch" report, out today, notes that there are now 18 cranes operating in Dublin north-west compared to 21 in the last three months of 2007 - by no means a significant fall but, on the ground, the cut back in building activities is more severe as developers board up sites until they have found buyers for housing stock already completed. Elsewhere in the city, the number of cranes operating is happily on a par with the last quarter of 2007 as developers push ahead with office developments that have been mainly pre-let to thriving Irish companies. Not surprisingly, the biggest density of cranes (24) is now in the north docklands where a range of vast office schemes are under construction, as well as the National Conference Centre and the Point Village shopping centre. Treasury Holdings and Liam Carroll account for a great deal of the building activity in this once forlorn area. On the opposite side of the docks, there is a huge concentration of cranes around the Lansdowne Road rugby grounds as it slowly takes shape. It is much the same out in Sandyford where those lucky enough to have secured planning permission before the planners' embargo came into effect are pushing ahead with a mixture of shops, offices and apartments. With 63 cranes in the skyline around Dublin city and suburbs, there is still life in the property market. TWO PLANNING officers with Kerry County Council were assaulted in the headquarters of the council by a man whose quarry had been closed down on foot of enforcement procedures taken some years previously, the District Court in Tralee heard yesterday. Brian O'Connor (44), Moyderwell, Tralee, pleaded guilty to assaulting Kerry Barrett and Keith Parrott at Áras an Chontae in April 2007. Supt Pat Sullivan said that at 9.45am on April 13th, 2007, Mr O'Connor entered the council offices in Tralee. He assaulted Mr Barrett by dragging him over a desk and tearing his shirt. Mr Parrott intervened and got a kick on his leg from Mr O'Connor. Other members of the council had to restrain Mr O'Connor until gardaí arrived and arrested him, said Supt Sullivan. Mr O'Connor had no previous convictions. His solicitor, Pádraig O'Connell, said the incident had its origins in a decision by the council to close his client's quarry "and his livelihood" in 1999. The father of five was accompanied by his wife in court. He had at one stage been forced to live in a mobile home because of the council decision, Mr O'Connell said. On the day in question, his client had gone there "with peace in his heart", but felt he had been treated with derision, the solicitor continued. Judge James O'Connor adjourned the matter to December 2009 and granted free legal aid to Mr O'Connor. ENVIRONMENT Minister John Gormley is to intervene with Waterford County Council over the controversy surrounding the rezoning of plots of land in the greater Dungarvan area. A major garda investigation is under way into alleged planning irregularities in Dungarvan, with a number of local politicians quizzed by detectives in the past fortnight. The rezoning issues being examined all relate to planning matters over the past decade. Yesterday, it was officially learned that the Department of the Environment is now to intervene. Officials are to write to Waterford County Council to make a specific request that they do not move ahead with proposed variations -- rezonings -- in the county development plan. Minister Gormley believes there has been an "excess of rezoning" in the area, with a particular focus on land zoned industrial. He said: "I can't comment on the garda investigation. However, I and my department have had concerns going back to last year concerning some rezoning proposals, specifically the proposed rezoning of some land for industrial purposes. "I'll be asking my department to write out and engage with Waterford County Council on this issue." It is understood that Mr Gormley will proceed to invoke Section 31 of the Planning and Development Act if the local authority fails to act on his request, meaning he can override their designations and block any proposed changes of use. Last year Mr Gormley applied the provisions of Section 31 in order to overturn a series of rezonings ordered in Monaghan, which would have had the effect of quintupling the population of some villages. The current garda probe was launched in early 2005, when a Waterford County Council employee raised concerns over specific planning matters with senior local authority officials. After an internal inquiry, the matter was referred to the gardai. One person has already been charged in relation to the investigation, and a number of arrests made under anti-corruption legislation. PLANS TO to limit the use of private cars in Dublin city centre are being finalised for presentation to a special Dublin Transportation Office (DTO) steering group, next May. The proposals, which were initially intended to be for the duration of construction works for the Metro, were outlined to members of the Joint Oireachtas Committee on Transport recently. They include a ban on private cars in the central city areas of O'Connell Street, College Green and lower Grafton Street/Nassau Street. The duration of the construction works on Metro North is expected to be at least three years. Access is to be maintained to O'Connell Street via alternative routes, but cars entering the northbound section will be unable to exit through the top of O'Connell Street, while a similar arrangement will be put in place for cars entering southbound lanes. Four lanes of traffic from Dame Street into Westmoreland Street are to be declared public transport only, as are the reverse lanes coming around from D'Olier Street. Lower Grafton Street to the Dawson Street/Nassau Street corner is also to be made a no-go zone for private cars. The work will also see a reorganisation of the inner and outer orbital routes. The opening of the Macken Street Bridge is crucial for the plan, the start-up of which is to be in place for the start of the Transport 21 works in 2010. The installation of a temporary bridge between Hawkins Street and Marlborough Street is also being considered. Ownership of the plan is set to move from the DTO steering group to Dublin City Council after a steering committee meeting and city council sources indicated the intention is to make the changes permanent. The steering committee accepts that there is a deficit in public transport but points out that additional buses are planned, as well as new measures to give priority to all buses. AN ENVIRONMENTAL report on plans to extend the modern sewage treatment plant at Ringsend has been ordered by An Bord Pleanála, on grounds the project would be "likely to have significant effects on the environment". The board has directed Dublin City Council to prepare the environmental impact statement (EIS) in advance of the council's submission of a planning application to extend the plant. The council has already told the board the extension will have greater visual impact than the original plant and "odour" was likely to be a contentious issue with any development of the facility. The council has for several years intended to extend the plant, which currently processes the sewage of the equivalent of 1.9 million people, to a capacity of 2.2 million and possibly greater, but has had to delay because of a foul odour problem which has persisted since the plant opened in 2003. Last December, city manager John Tierney said the odour problem would be eliminated by July, which would allow the plans for the extension, likely to cost in excess of €50 million, to proceed. The council wrote to An Bord Pleanála late last year stating that it believed an EIS would be required for the development. In its submission, it said there would be a "higher degree of visual impact" than had been the case with the original sewage plant because there would be an intensification of facilities on the same site. The submission also states that odour control has been a major issue with the existing plant and would be one of the most contentious aspects of the proposed extension. In his report, the board's inspector said the council could have conducted an EIS without asking the board, but he said it was his recommendation that an EIS should be prepared. THE GARDA has confirmed that an investigation into an attempt to rezone 400 acres in Dungarvan, Co Waterford, does not involve any serving council member or official, the mayor and county manager of Waterford County Council insisted last night. Clearly angered by recent publicity surrounding the bid to change the county development plan, chairman Billy Kyne and manager Ray O'Dwyer called for the Garda investigation to end quickly. In a joint statement, they said: "In response to the alarming amount of interest concerning the recently covered Garda investigation, Waterford County Council wishes to point out that the gardaí have advised that this investigation does not concern any county councillors, nor any member of the council's planning staff. "The council is fully co-operating with the gardaí in their inquiries and requests that the media take a fair and balanced approach in their coverage. "Despite this setback, the members and staff of Waterford County Council remain committed to ongoing development and job creation within the county. We urge that this investigation be concluded as speedily as possible." The statement was released by Waterford County Council last evening. The National Roads Authority warned that an earlier plan to rezone the lands - which differs only in the most marginal way to the latest application - would add millions to the cost of buying land needed to upgrade the Cork-Waterford road, since some of the lands run right across the proposed route. The latest version of the plan has been strongly opposed by Minister for the Environment John Gormley, who has warned councillors that he will veto it if they insist on going ahead and approving it. The closing date for consultations on the application - the 10th variation to the 2005-2010 Waterford County Development Plan - has been set for tomorrow. However, a copy of the ninth application - the one objected to by the NRA - cannot be found on the council's website - even though all others are listed. Last week Garda detectives interviewed all 28 members of Waterford County Council and Dungarvan Town Commissioners about their knowledge of the rezoning application, though the investigation is not linked to any prior planning investigation. Some of the owners of the lands in the townlands of Killadangan, Ballygagin, Mapestown, Lackenfune, Ballinure and Middlequarter townlands affected by the rezoning application had no part in the issue and only discovered that some of their lands were included following last week's publicity. Mr Gormley must write to the local authority outlining his objections by tomorrow, but he intends to veto any changes to the plan - which would allow industrial, retail and office developments, along with a hotel - if the council persists with the application. He is understood to be concerned that such a major change would be considered three years after it came into force and one year before planning for its successor begins. THE REDEVELOPMENT of the former veterinary college in Ballsbridge, Dublin, which includes plans for a 15-storey apartment block, is the subject of more than 20 appeals to An Bord Pleanála. Dublin City Council granted planning permission last February to developer Ray Grehan for the 40,000sq m complex of shops, offices, an arts centre and 109 apartments on the site adjoining the Jurys/Berkeley Court site owned by Seán Dunne. 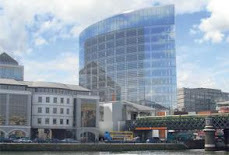 Local councillors had recommended that the planners not grant permission for the development on the grounds of its height, although its tallest structure is less than half the height of the 37- storey tower sought by Mr Dunne. Mr Dunne was last month granted permission for his development by the council but with the omission of the 37-storey building. He did secure permission for an 18-storey building on the site, but has decided to appeal the project in full to An Bord Pleanála. Mr Grehan, however, was granted permission for his development in its entirety, and in this case it is mostly local residents and An Taisce who have appealed to An Bord Pleanála. Just under 90 objections were made to the city council against the plans, largely on the grounds that the 15-storey building, at more than 50 metres high, was out of proportion with the surrounding streetscape, and that the density of the site development was too great. The appeals follow similar lines. Although fewer appeals have been made, they are significant in number given that the cost of an appeal to the board is €200, compared with €20 to appeal to the council. Local appellants to the board made their objections through residents' groups, including the Lansdowne and District Residents' Association and the Ailesbury Road Residents' Association. In its appeal to the board, An Taisce claims the council contravened the city development plan by granting permission, in that the office and retail parts of the development are not allowed under current zoning rules. The 15-storey building would be "extremely imposing and would totally dominate the area", An Taisce said. The development would have "seriously negative impacts" on Ballsbridge's architectural setting; residential amenities would be damaged; the public and private open spaces were inadequate; and the development would cause traffic safety problems. An Bord Pleanála is due to deliver its decision on the appeal in July. While entirely separate to any appeal in relation to the neighbouring Jurys/Berkeley Court development, the decision is likely to be seen by locals as a marker of the board's attitude to tall buildings in the area. An Bord Pleanála is also likely to receive a large number of appeals against Mr Dunne's development in addition to his own appeal. ECO-WARRIOR Lisa Feeney has no intention of going back down the hole she lived in for several days while protesting against the M3 motorway. However, the 26-year-old from Kerry said she will continue to fight against the construction of the motorway, which passes close to an ancient fort in Rath Lugh near the Hill of Tara in Co Meath. Speaking to The Star yesterday the chirpy Psychology graduate said she is "furious" at the National Roads Authority for "breaking the deal" that resulted in her finally coming out of the 33ft deep tunnel. "I was tricked," she claimed yesterday. But 'Squeak', as she is known to friends, said she will find time to leave the protest camp to play saxophone with her funk band Kellie Marie and the Unmentionables tomorrow night. "I can't wait. They've missed me since I started protesting down here, so it will be really good," she said. She had stayed in the chamber underground for several days threatening to pull a jack that would see the tunnel collapse on top of her if builders continued to work at the site or if anyone tried to force her out. The NRA and gardai tried to persuade her to come out for her own safety - but it wasn't until her father and uncle took part in this plea that things changed. So after an agreement was made that no work would take place there for 30 days and that protesters would not interfere with fences being erected, Lisa emerged from her hole. "They told my family that I was going to die," she said. Lisa had gone back to her hometown in Kerry with her family but returned on Wednesday this week when she learned that building work had continued at the site. "I was tricked," she claimed yesterday. Now Lisa, her ex-boyfriend Paddy and the other protesters at the camp at Tara are trying to gain access to the building site where they hope to create a human shield against the diggers. The NRA said that there are security guards and 50 gardai at the site on a 24 hour basis trying to keep the protesters at bay. They say they are building obvious markings of where the road will be in a bid to alleviate protesters' concerns over its proximity to the national monument. The NRA also confirmed that work had advanced on the M3 but only after their agreement with the protesters had been broken after work on fencing and at a haul road past the monument had been interfered with. An NRA spokesman said they tried to deal with the protesters, but found they "did not keep to their word" and were "irrational". Lisa says protesters are now pinning their hopes on a Supreme Court appeal next month against the High Courts refusal to grant an injunction stopping works at the site. Lisa said her parents sympathise with her cause after visiting the Tara site but are worried for her safety. "Like all parents they worry, but they understand," she said. Lisa "misses" her life back in Dublin where she's been living for over seven years since she began studying psychology at Trinity College. It was while working as a bicycle courier that she earned the nickname 'Squeals'. Other bikers christened her so because of the way she sounds on their radios. Lisa said she looks forward to pursuing a career as a music therapist following a post graduate course. DEVELOPERS are getting the green light to build far more properties now than they were last year. But they are holding back on building the properties for which permission has been granted because of the prices slide and the fall-off in demand. The number of houses and apartments granted planning permission in the final quarter of last year was up 9pc on the previous year's figure, despite the downturn in the housing market. The Central Statistics Office (CSO) said yesterday that almost 17,800 units were approved in the last three months of 2007. The number of houses granted permission was up just 0.5pc to just over 13,000. The CSO report shows that, for the fourth quarter of 2007, planning permission was granted for 17,733 houses and apartments, compared with 16,251 units for the same period in 2006 -- a 9.1pc increase. l Permissions were granted for 13,135 houses compared with 13,054 in the fourth quarter of 2006.
l One-off houses accounted for 24pc of all new properties approved. l The total number of permissions granted for all developments was 12,330. This compares to 12,962 in the fourth quarter of 2006, a decrease of 4pc. l Planning Permissions for new buildings for agriculture fell to 1,232 this quarter, down from 1,715. LIAM CARROLL, the developer, has secured planning permission from Dublin City Council to demolish a five-storey city centre apartment complex built just 10 years ago under a tax incentive scheme which expires this summer, and replace it with a six-storey office block. The 47-unit apartment block on the corner of Watling Street and Island Street, just south of the city quays and adjacent to the Guinness Brewery, was built under the Section 23 tax incentive scheme designed to rejuvenate rundown areas of the city. The tax reliefs available to owners of Section 23 apartments expire on July 31st. The apartment building is part of the Maltings complex built by Mr Carroll's company Zoe Developments in the mid-1990s. The Maltings blocks A, B and C were completed by 1996 and were sold to private owners; a fourth block, block D, and called the New Maltings, was built in 1998. Mr Carroll retained ownership of block D and rented out the 47 apartments. It is this block he now intends to demolish and replace with offices. The city council granted permission for the plans last week, despite receiving 39 objections from local TDs, councillors and Maltings residents. Labour TD Mary Upton said she was particularly concerned that the council's decision would set a precedent for the demolition of apartments that were no longer earning tax relief for developers. "There is a very serious issue raised by this decision. What now is the future for Section 23 developments?" Section 23 relief had been designed to rejuvenate areas such as the southwest inner city and it would be a retrograde step if apartments built to achieve this aim were now levelled, she said. "It appears that since the Section 23 relief will now expire, the developer wants to demolish these apartments. This sets a worrying precedent for other Section 23 areas, as developers who notice that the relief has expired may now apply to knock other Section 23 residential developments and replace them with offices, retail or commercial uses." The 47 apartments have been consistently occupied in the last decade and remain habitable. Fine Gael TD Catherine Byrne, appealing against the proposals, said the demolition was contrary to the City Development Plan, which discouraged the demolition of habitable homes. In their application to the council, the developers argued that the area was one of "economic decline", was "strongly in need of investment and urban regeneration" and that the apartments were currently located opposite "a number of derelict-looking warehouses" and a building owned by a charity for the homeless, the Simon Community. The design of the new office building would significantly improve the streetscape. The area had lost industries and needed economic regeneration, and the proposed offices would bring employment to the areas, they said. They would also meet the needs of the services sector, which would be "instrumental in underpinning and directing sustainable economic development" of the area and would be in tune with developments in the nearby Digital Hub, developers said. Residents of the Maltings complex said the imposition of an office building in their residential complex would adversely affect their quality of life. Residents are to meet next Tuesday to formulate their appeal to An Bord Pleanála against the council's decision. A CONSTRUCTION firm accused of exploiting migrant workers in Ireland lost up to €45 million on building a major roadway after underestimating the cost of labour and materials and incurring financial penalties for delays. Carl O'Brien, Social Affairs Correspondent, reports. Gama Construction was awarded a contract to build the 21km Ennis bypass in Co Clare four years ago, before it became embroiled in controversy over paying hundreds of Turkish builders in Ireland less than the minimum wage. However, the company went on to lose significant amounts of money on the €200 million project due to factors including underestimating the cost of labour and financial penalties for delays in the project. The final leg of the Ennis bypass was finally opened in December, eight months after it was due to be completed. As a result, the company was forced to pay an undisclosed sum to Clare County Council. The extent of the losses has come to light in a ruling by the Labour Court on a claim by Siptu for workers for a "finishing bonus" of between one and two weeks' additional pay. The union said the project went over budget because Gama failed to take into account the true cost of its legislative obligations towards its workers. It said members should be entitled to a bonus as it was becoming the norm on large projects. In its submission, the company said such a bonus was not part of the deal with its employees. It did not give reasons for its losses, but said they were projected to be as much as €45 million.The court rejected the union's claim. The contract for constructing the bypass was €123 million, while additional sums were spent on acquiring land, planning, design and archaeological work. While it has been involved in some of the biggest infrastructure projects in the State, Gama's Irish operation has made significant losses recently. A pre-tax profit of €10 million in 2006 included €55m from the sale of its share in a power plant. In the previous year it made a €44 million loss. GARDAI stepped up their three-year investigation into planning irregularities yesterday, by questioning a number of politicians. Waterford gardai questioned a number of officials in the Dungarvan area as part of their ongoing investigation into alleged planning irregularities. The questioning was confirmed last night by the gardai but no arrests were involved. A senior source indicated that all the individuals involved co-operated fully with the garda inquiry. The politicians are understood to include members of both the county council and town council. Several politicians were questioned without prior notice by the gardai. Detectives will now liaise over the detailed interviews which were all conducted over the past eight days. The Irish Independent understands that the move was focussed on issues surrounding rezoning of specific plots in the greater Dungarvan area. The rezoning issues being examined by the gardai all relate to planning matters over the past decade. The west Waterford town -- which is home to Waterford County Council -- is one of the fastest expanding urban areas in Ireland and has witnessed dramatic development over the past decade. The garda probe was launched in early 2005 when an individual Waterford County Council employee raised concerns over specific planning matters with senior local authority officials. After an internal inquiry, the matter was referred to the gardai and a major investigation was launched, led by Dungarvan gardai. To date, Waterford County Council has refused to allow an open council debate on the matter -- stressing that it would be inappropriate, given the ongoing nature of the garda inquiry. One person has already been charged in relation to the investigation. Gardai have made a number of arrests since 2005 in relation to their inquiry, all of which were made under anti-corruption regulations. GARDAÍ INVESTIGATING suspected planning irregularities have been interviewing members of Waterford County Council. A number of councillors have been informally spoken to by gardaí in recent days, and others are expected to speak to gardaí in coming days. The investigation relates to a planning application that was submitted to the council for approval. Gardaí in Dungarvan have been told that a developer had offered incentives to people involved in the planning process in an effort to get a mixed-use application approved. As an initial part of their inquiry gardaí have decided to speak to all members of the county council informally to ascertain if the developer at the centre of the allegation had offered them any incentive for voting favourably on the application. The Irish Times understands gardaí also plan to informally interview members of Waterford City Council when the current phase of their investigation is complete. Some county councillors last night confirmed they had been informally interviewed. Informed sources said gardaí asked the councillors if the developer or their agents had offered the councillors foreign trips or had pledged to make investments in local projects if they voted in favour of the planning application. It is understood a member of the public approached an elected representative and relayed the allegations. The representative then passed the information to gardaí in Dungarvan, and an official Garda investigation was begun. Sources stressed that the investigation was at a very early stage and it was unknown at this point if corruption or criminal charges would follow or if a file would even be submitted to the Director of Public Prosecutions. The investigation is the latest in a series of alleged corruption matters involving the council. In 2005 all councillors were spoken to informally by gardaí when a complaint about alleged planning corruption was made to gardaí in the county. That allegation related to suspected irregularities with Part V contributions by building developers. Part V planning contributions are payments made by developers to local authorities in lieu of providing a portion of a development for social and affordable housing as set out in the Planning and Development Act 2000. Separately, one former employee is currently facing charges relating to allegations of corruption in the awarding of a building contract. Joseph Brennan, of Ceithre Gaoithe, An Rinn, last appeared at Dungarvan District Court on March 11th on a charge that in November 2002 he induced a named individual to award a kerbing contract to another man with the intention of making gain for the contractor. The accused, who has been granted bail, has not worked with the local authority for the last two years. He is to appear again in court on Tuesday, when a date will be fixed for hearing. THE RAILWAY Procurement Agency (RPA) is to go ahead with a low-capacity design for Metro North, according to briefing documents circulated to the four consortiums which are bidding for the project. Tim O'Brien reports. The agency confirmed to bidders at a specially organised "workshop" in recent weeks that it wanted to develop an underground which uses vehicles that are longer but similar in width and height to the overground Luas trams. The Luas has already faced criticism from commentators, including Dr Garret FitzGerald, who say its current capacity problems relate to the fact that it is a lower-capacity tram system rather than a heavy-rail metro line. However, the Green Line Luas was constructed so that it could be converted to a heavy-rail metro line by the addition of faster, wider-bodied carriages - at least from the Beechwood stop outbound. However concern has been expressed that such an approach would not be possible under ground, unless the tunnel was constructed to a wider specification than that which has been indicated in the pre-tender advice given to the bidding companies at the workshop. The agency's specification envisages a maximum 18,000-20,000 passengers an hour in each direction, in what would essentially be a 90m (295ft) underground tram. In contrast, the overground Dart has a capacity of at least 36,000 passengers per direction per hour. In a further difficulty for Metro North, its catchment area is much wider than the coastal Dart line, encompassing much of the mid-city, and taking in major installations such as the Mater hospital and its future extensions, DCU, Dublin airport and the expanding Fingal area of north Dublin. RPA chief executive Frank Allen has said Metro North is fully compliant with population projections in the Fingal Development Plan. However, the Dublin Institute of Technology Futures Academy has calculated that more than one million people could migrate to the Dublin-Belfast axis by 2020. This would create additional development pressure beyond the Fingal administrative area, which would critically affect the usage projections for Metro North. Faced with the problem, Minister for Transport Noel Dempsey has decided against asking the Railway Procurement Agency to build additional capacity in the Metro North tunnel, a feature he acknowledged would affect the cost. However, Mr Dempsey failed to give the agency's plans his outright blessing, remarking that he "could not guarantee" that the capacity of the proposed Metro North was sufficient to meet population forecasts. Speaking at the recent launch of plans for the CIÉ's underground Dart interconnector, which will use the wider-bodied trains, Mr Dempsey said he had been assured by the RPA that Metro North had sufficient capacity and, while he acknowledged that there were industry concerns about the issue, "the time for consultation and talking is finished". The agency expects to issue tender documents to the bidders by May. A TOTAL of 8,000 new apartments and almost-completed houses, valued at 3.6bn, across more than 100 building developments in the greater Dublin region remain to be sold as the last stage of the spring buying season gets under way following the Easter weekend. The estimates, which were prepared by leading property figures in the capital for the Sunday Tribune, are the first glimpse of the challenge that faces house builders after sales of new homes all but came a stand still up to the end of last year. The figures also give an insight into the exposure Irish banks still face in loans to residential building schemes in the capital and surrounding commuting counties, including parts of east Meath, east Kildare, southern Louth, and north Wicklow. However, the lenders, builders and agents will be cheered by evidence that the unsold stock of new homes overhanging the capital's new housing market has been reduced significantly since builders started slashing prices on their new build schemes in recent weeks. Leading property agents and builders, who did not wish to be named, said that the overhang of new homes and apartments has fallen by 2,000 units since the start of the year. "The peak was 10,000 units of unsold new housing units at the end of last year. But since Christmas many developers completely smashed their prices. New homes are selling at last and we have reached the bottom now in terms of prices and that has stimulated sales, " a senior property figure said. "Practically nothing sold this time last year, " he added. Established builders Albany Homes, Park Developments, Capel Developments and Manor Park Homes either cut prices of apartments by up to 100,000 or marketed new homes in headline grabbing promotions at competitive prices since January. Experts say prices have been cut by 15-25% in some schemes in the last three months. Significantly, increased supply has stopped as few big schemes have started but it will take some time for the stock to be cleared. Property agents hope that new home prices will start creeping up at end of this year as the overhang of unsold stock in some city areas is cut. On sales of second homes, leading agents said that the picture was mixed across four broad price bands. Simon Ensor, director at Sherry FitzGerald, said sales activity for second homes costing up to 500,000 had "definitely" been stimulated by the budget cuts in stamp duty and was "quite active and busy". Sales of houses of 500,000 to 1m had improved considerably from this time last year but remained "patchy" in the capital, Ensor said, as potential buyers have delayed purchases or remained nervous about selling their existing homes. Activity in house sales valued at 1m to 3m had also improved but was "the most difficult of the four" bands, he said. Ensor added that sales of second homes above 3m to 10m "had remained remarkably resilient". Ronan O'Driscoll, a director at Savills Hamilton Osborne King, said: "I think that next year will show an increase in prices, as supply of housing dries up." Paul Murgatroyd, economist and partner at Douglas Newman Good, said the length of time it took houses to sell in Ireland, from first marketing to initial agreement, had increased to an average of 115 days last August from only 47 days at the peak of the housing boom in mid-2006. At the end of 2007, the average time to sale had stretched to 132 days. Sir -- I disagree with descriptions of Lisa Feeney's tunnel protest as "extremist" and "irresponsible". In my view, it is the politically ordained desecration of an area dotted with precious ancient ruins and historic sites that those words more aptly describe. Lisa's brave stand against the bulldozing of part of Ireland's treasured and irreplaceable heritage reminds me of another woman whose protest was condemned by all the "proper authorities" and who endured the full force of the law for her efforts: Rosa Parks. She sat in the "whites only" section of a bus in Montgomery, Alabama in 1955, and refused to stand when supremacist bullies demanded she did. This gesture sparked a national civil rights campaign for Afro-Americans in the USA. But success came only after Rosa was taken from that bus by police for her gentle act of defiance, arrested, finger printed, questioned like a suspect in a major crime probe and accused of breaching Montgomery's transportation laws. It was her courage that roused the conscience of a nation. Rosa Parks took a stand against injustice by sitting down. Lisa Feeney seized the high moral ground on the Tara question . . . by squatting in a small underground chamber. She has clearly embarrassed the Big Boys. They had hoped to be able to quietly get on with the business of ripping out the very heart of Ireland. A variation to the town development plan regarding guidelines for the core retail area was unanimously approved after Executive Engineer Stephen Fox said that the specified average height of buildings on the main street would not result in a uniform roof line. He said that the variation would accommodate those who wanted extra height at ground level. Councillors expressed concern that having four stories would result in large buildings at the south end of the Main Street that would overpower the Town Hall. On the night that campaigner Shane Rowan delivered the signatures of over 6,500 people demanding an improvement to parking in Bray, members of Bray Town Council signed a resolution promising to take land back from Ballymore if work does not begin by the end of April. Earlier, members received copies of a petition carried out by traders led by Shane Rowan. The Cathaoirleach, Cllr. Bríd Collins said that she had decided to accept the petition and wished to do so without any discussion. The resolution was signed by Cllrs John McManus, Anne Egan, Ciarán O'Brien and Steve Matthews, as well as Caroline Burrell, Pat Vance, Bríd Collins and John Brady. Absent on the evening were Cllrs Anne Ferris, John Byrne, Michael Lawlor and David Grant. The option to extend the Luas to the front of the Dart station has been left open by Councillors approving a variation to the Town Development Plan at last week's meeting of Bray Town Council. Cllr. Pat Vance remarked that with so many negatives being bandied about, it should be recognised that the Luas will be a marvellous development in the centre of the town.' Cllr. John McManus welcomed the variation, saying that while development of the Luas would bring problems, but problems that could be solved. Cllr. John Brady said that Irish Rail should address the condition of the station, to which the Cathaoirleach responded that the Town Clerk had written to the company asking that a full and proper refurbishment of the area be carried out. Cllr. Pat Vance asked that a representative from Irish Rail come to the Council. Meanwhile, Cllr. Caroline Burrell insisted that an associated reference to a faster bus service' should be changed to frequent and more efficient'. Developers of the forthcoming Florentine Centre have insisted that a much-awaited start to the project now lies in the hands of Bray Town Council, who have yet to finalise handing over their portion of the property. While reports suggest that delays have been resolved following the approval last Friday of a compulsory purchase order, construction will not begin until the deal, the last piece of the puzzle, is complete. We are ready to go,' claimed Hazel Jones of Ballymore. Ms. Jones remarked that she was surprised by a resolution at Bray Town Council last week to cease negotiations with developers if work did not begin by the end of April. Bray is now in control of things, not Ballymore,' she said. The approval from An Bord Pleanála was met last week with tentative enthusiasm from most quarters, with Ballymore stating for the second time in the space of a year that work is expected to begin within weeks. Parking campaigner Shane Rowan opposes the move. I think that it will do the town more damage than good,' he remarked, referring to the anticipation of disruption for up to two years. We are finally about to see development commence,' said optimistic Jason Cooke of Bray and District Chamber, adding that there was relief across the business community in Bray that this part of the process was complete. Developers said that detailed designs are finalised and the build phase is out to tender, with the selection of a contractor imminent'. The Florentine is expected to take just over 18 months to complete and as well as retail space will include 84 homes, a creche, community facility and 549 parking spaces. Agreements have been signed with three international multiple tenants. Detailed designs are finalised and the build phase is out to tender and the selection of a contractor is imminent. PROPERTY developers who own riverside lands in Dundalk, where the habitat of kingfisher birds and other wildlife was completely destroyed by a contractor clearing the site, have pledged to restore the habitat as much as possible. “We made a mistake and are here to fix it. We are as much to blame as everybody else,” said Kieran Slevin of IBEX Construction at the site on the Ramparts Road in Dundalk yesterday. IBEX Construction Ltd. was granted permission to build 117 apartments in three blocks on the 1.9 acre site. Contractors, hired to clear the site, flattened and laid bare the mature habitat. However, none of the 52 planning conditions have been breached and the failure of the local development plan to include any reference to protecting wildlife habitats meant such a condition could not have been made. The destruction of the mature habitat was spotted by local Green town councillor Mark Deary who contacted the developers. They immediately agreed to rectify the damage. Mr Deary said the development, “meant this [type of event] was an accident waiting to happen”. The local development plan is now under review and Mr Deary said the new one will have to contain “an explicit policy to protect wildlife corridors in the town and will have to name the Ramparts, Blackwater and Castletown rivers”. The site has about 120 metres of frontage over the Ramparts River onto the road and was previously a thriving natural habitat for wildlife including the kingfishers, lark, and grey wagtail. The branches of some of the trees, including willow and horse chestnut had created shade over the river, making it ideal for the birds. “Ireland is a stronghold for kingfishers but they are hard to protect and this habitat supported them and other species,” said local conservationist, Breffni Martin. Chairman of the local branch of Birdwatch Ireland Mr Martin believes kingfishers previously bred in the habitat in 2003. This week Mr Martin and Mr Deary met with the developers, their architects and a landscaping expert at the site. Speaking afterwards, the developers said they regretted what happened and would do all they could to restore it. They hope to “re-wild” the site and are also considering the possibility of a miniature woodland with a riverside habitat. Dundalk town council said it “is aware of concerns regarding impacts from the site clearance works carried out”. A GROUP of residents in Sandyford, Co Dublin, have expressed dismay at the transformation of a green recreational area in their estate into a compound for M50 topsoil. Concerned residents in Sandyford's Moreen and Blackthorn estates say that a large temporary fence is being erected in the green recreation area used by the 300 houses in the estate. Up to this point the green area had a cycle track, daffodils and trees and had been well-maintained by a local residents' group and the owners of the land, Dún Laoghaire Rathdown County Council, said Joanna Tonge, from a local residents' group. The move also came as a surprise to local councillors Lettie McCarthy (Labour) and Tom Joyce (FG), especially since plans had been lodged by Landmark Developments to build a community centre on the site. "It's fair to say it was poorly handled by all concerned," said Ms McCarthy. "The first I heard was when I got calls from residents and that is not how it should be done." "There's a real problem with the manner in which it was done and local representatives weren't told about it," said Mr Joyce. After calls to the council and developers, the residents' group discovered that the land was allocated for the M50 works and was identified in part of an environmental impact statement which was approved by An Bord Pleanála after public consultation in 2005. Residents and local councillors say they were not aware of the plans. The company contracted by the National Roads Authority, M50 Concession Ltd, has since apologised to the residents for "the oversight in not providing them with the information". The council said in a statement: "We cannot object to the NRA's use of the site but what the council can and will do is to insist that the area is safe and secure and does not create a nuisance." The works are set to continue until at least September 2009 and possibly 2010. "An apology is easy," says Ms Tonge, who remains concerned about the impact of the works, their proximity to the estate and the disruption from hundreds of daily loads of topsoil. The problem of a lack of recreation space remains in an area which has few facilities, she says. However, the disruption for residents may not end in 2010 as the green area is also part of future plans for the proposed eastern bypass. The number of residential planning permissions granted in the last three months of 2007 rose by 9 per cent to 17,733 compared with the same period the previous year, according to data released today by the Central Statistics Office. However, only 54 per cent were for new properties. The remainder were for extensions and other new constructions. Within that total was planning for 4,598 apartments, a rise of 44 per cent on the total number of apartment planning permissions secured over the same period last year. The remaining permissions, 13,135 were for houses, which showed only a marginal increase compared to the October to December period in 2006. Almost a quarter of all planning permissions were for one-off houses. A PROPOSED housing estate in Drogheda, Co Meath will have a "drastic impact" on key historic sites, including a crossing point on the River Boyne used by William of Orange during the Battle of the Boyne. Plans to build 745 houses on 27 hectares on the southern shore of the battlefield site at Oldbridge have been sharply criticised by residents who say that the site includes the point of the final fording of the River Boyne and the spot where King William of Orange crossed the Boyne in 1690 with 3,500 mounted troops. The decision by Meath County Council to grant permission to developers Niall Mellon and Pat O'Reilly last July was criticised at the time by Northern Ireland Assembly member Billy Armstrong. "There is much talk these days of a shared future, but the Battle of the Boyne is part of a shared past," he said at the time. The grant of planning permission is now under appeal to An Bord Pleanála by the Highlands Residents' Association. "This was the last crossing of the Boyne and was the pivotal turning point of the battle. From here the mounted troops charged the Jacobite forces who retreated to the close-by Hill of Donore," says Peter Ryan, secretary of the association. The density of the proposed scheme has also been criticised by the association. Located 3kms from the town centre with limited public transport, such a large housing estate is "totally unjustified", according to the association. Other issues raised include the impact of traffic on the adjacent Brú na Bóinne UNESCO World Heritage site, the protected willow woodland islands in the River Boyne and other - but as yet unexamined - archeological sites. The application is due to be decided next month. A €10 million plan to turn Clontarf Baths into a luxury day spa and swimming pool has been approved by Dublin City Council. Former Olympic swimmer Stephen Cullen has secured permission to demolish the sheds at the baths and build a luxury day spa with 18 treatment rooms and a 15-metre swimming pool. The building, by Italian architect Francesco Beia, is designed to give the impression that is is floating on water, says Cullen. Beia was responsible for the design of the Seafield Golf and Spa Hotel in Gorey, Co Wexford which is also owned by Cullen and his brother David. He was also responsible for the design of the Dolce & Gabbana headquarters in Milan. The one-storey over basement building will also incorporate a vitality pool with sliding glass doors opening out to the sea, speciality showers, heat treatment rooms, wet relaxation area, gym, yoga area, café and hair salon. Laid out over 3,400sq m (37,000sq ft) the spa will be run under the OCEO spa brand that the brothers have developed at the Seafield hotel, which opened last year. Originally built in 1864, the baths closed in the early 1990s and are now derelict. Cullen says he wants to create a "modern version" of the recreation facility. Cullen purchased the baths in 1997 and has been attempting to develop the site since then. Initially he intended to develop an indoor leisure centre at the baths. This plan, however, was abandoned when Westwood leisure centre, with its 50-metre pool, was built in nearby Fairview. Subsequent plans to turn the baths into a two-storey restaurant, tea rooms, gourmet food store and exhibition complex were refused by An Bord Pleanála on two occasions. Given the level of opposition to the scheme, it is likely that the current proposal will be appealed to An Bord Pleanála. Among objectors to the spa were local TDs Seán Haughey and Ivor Callely and environment group Dublin Bay Watch. PERMISSION FOR a new €160 million women's, children's and maternity hospital in Sandyford, south Dublin, has been refused by Dún Laoghaire Rathdown County Council. The local authority rejected the application from the Beacon Medical Group due to a lack of sufficient infrastructure and foul water drainage in the area. Pauline Cullen, a spokeswoman for the Beacon group, said the consortium was "very disappointed" that the 120-bed maternity hospital has not been approved. "We were hopeful that all concerns had been addressed and that a positive outcome would be forthcoming," said Ms Cullen. "However, we are committed to working with Dún Laoghaire Rathdown County Council to ensure this much-needed facility goes ahead." The Beacon Group intends to meet council planners to discuss how to make the plan work. A new site is not being ruled out, although the preferred option is to co-locate the new facility next to the existing Beacon Hospital. Ms Cullen said: "It doesn't make sense to move the hospital, but if we have to do so, we will. Having said that, it if doesn't go ahead in the intended site, it reduces the possibility of the hospital going ahead at all." Council planners deemed the design "premature due to existing deficiencies in sewerage facilities to cater for the scale of the proposed development". Such a development would be premature due to deficiencies in the road network, the planners added, and would require road improvements of adequate capacity. Last February county manager Owen Keegan said that the local authority would reject planning permission for developments of larger than two houses due to a lack of adequate foul water services in the area. TODAY is World Poetry Day, as designated by Unesco. So it seems as good a time as any to publish this curious document I found recently in a skip. Undated, but yellowing at the edges and clearly quite old, it appears to have originated in the offices of An Bord Pleanála, or possibly that body's predecessor. Inspector's Report re. appeal against proposed erection of dwelling house at Innisfree, Co Sligo. Planning Authority: Sligo County Council. Applicant: W.B. Yeats. Original decision: Permission granted. 1.0 Site Location: The site, of unspecified acreage, is on a small island in Lough Gill, a short distance south-east of Sligo town. Access is via boat, or by swimming. There are no public footpaths on the island, and no public lighting. However, the area around the lake has been the scene of considerable one-off housing, in some cases constituting ribbon development. The site is located among mature trees, with breaks in foliage affording spectacular views northwards to Ben Bulben. 2.0 Proposed Development: Permission is sought to erect a small, cabin-style dwelling (single occupancy) with adjoining bee-hive, and vegetable garden comprising nine bean rows. Main residence to be constructed of clay and wattles. 3.0 Status of site in development plan: Although the island is zoned for recreational use only, the applicant is exempt from this on the grounds of being a poet. However, the site is also in an area designated "sensitive landscape" and "visually vulnerable". 1. Applicant to use bricks, rather than clay and wattles, which are not approved materials under the Planning Acts. Local stone and/or pebble-dash to be used as cladding. 2. Any member of local authority to be contacted for name of good builder. 3. Bean rows to be fenced off from public access. 4. Appropriate netting to be used in vicinity of bee-hive, with warning signs on approach routes. 5. Applicant to submit proposals re sewage disposal. 6. Applicant to produce evidence that he owns the site, or at least plans to purchase it before commencement of construction. 5.0 Grounds for appeal: The appeal by various third parties centres on the environmental impact of the development, the likelihood of it being the precursor to further one-off housing in the area, the vagueness of the proposed cabin's size and elevation, vagueness regarding the true extent of the bean garden, and finally the application's ambiguity about the number of bees planned. The last issue is of particular concern for several appellants. One party called into question the wording of the original application, which proposed "a hive for the honey bee". As the appellant put it: "Barring the unlikely event that the applicant keeps a pet bee, he almost certainly envisages having more than one insect in the planned facility. If he is not being upfront on this issue, how can we trust him on bigger questions? When he refers to a single 'hive', for example, is that also poetic licence?" Other appellants referred to the applicant's stated wish to live "in the bee-loud glade" as further evidence of his long-term plans. Apart from the issue of noise pollution, this suggested that, once established, his honey-making operation would be on a commercial scale. Such plans would also explain his reference to standing "on the roadway, or on the pavements grey", since, as a number of appellants pointed out, the site is currently devoid of infrastructure. 6.0 Observations: A local conservation group expressed concern at the general tenor of the application, viz: "I will arise and go now, and go to Innisfree/ And a small cabin build there". It is suggested that, notwithstanding his apparent co-operation with the planning process, the applicant intends to commence construction unilaterally and, if necessary, apply for retention afterwards. 7.0 Responses from first party: Responding to the various objections, the applicant spoke cryptically of ambition since his teenage years to live "in imitation of Thoreau on Innisfree" - an ambition that had suddenly returned to him during a bout of homesickness in London. This explained his reference to "pavements". He declined to elaborate on the other issues raised by objectors. 8.0 Assessment: A search of the archives reveals no evidence of a prior planning application on the island, by a Mr Thoreau or anybody else. The applicant's proposal would therefore appear to set a precedent for development in a highly sensitive area. The apparent modesty of his plans must be offset against their wilful vagueness, not just on the question of bees. The inspector also notes the contrast between the applicant's precision vis-à-vis the quantity of bean-rows and his marked silence about their length. After all, nine bean rows strung across the entire island could feed a small village. The applicant's desire to use clay and wattles in the construction of the main dwelling shows admirable, if exaggerated, sympathy to the west of Ireland setting. However, it also exposes the unrealistic nature of the development, especially combined with his stated ambition "to have some peace there, for peace comes dropping slow". Peace is not the only thing that comes dropping in Ireland, as the applicant would soon remember when he moved into his mud hut. 9.0 Recommendation: The decision of the local authority to be overturned and permission refused. Applicant to be advised that he has been in London too long.